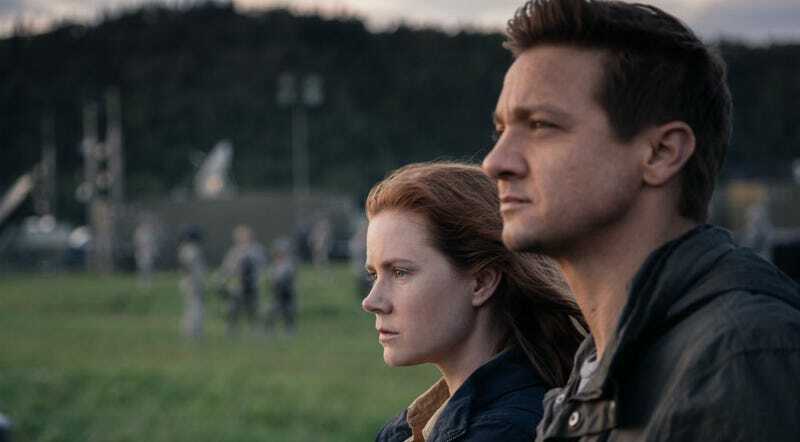 If you’ve seen the commercials for Arrival, it’d be very easy to assume this big Hollywood scifi movie with Amy Adams, Jeremy Renner, crazy aliens, and big ships is an action movie. It’s not. It’s something else—something much more special. In Arrival, Amy Adams plays language expert Louise Banks; when several alien ships land on Earth, Banks is hired to try and communicate with them. This much of the plot is evident in the trailers, which are edited and packaged as to imply the only thing stopping an imminent alien invasion is Amy Adams’ character. The other humans all look like they’re about to grab their guns, just off-camera. There’s definitely more happening in Arrival than its trailers reveal, but it’s not lasers, spaceship dogfights, or things blowing up. Movie-goers looking for spectacle and violence will likely be disappointed to discover the film’s biggest action scene is Louise deconstructing a sentence. It contains only one explosion. But Levy also hopes people get over it when they finally see what the movie is—thoughtful, introspective, and unique. Whether or not that exact scenario plays out, it’s fascinating to hear a producer admit the film demands that viewers engage with it on a different level from what they’re used to, and then requires them to convince others to give it the same chance. Having seen the movie myself, I can tell you that it’s a legitimate science fiction masterpiece that will spawn tons of conversation, interpretations, and eye-opening rewatches. Here’s my full review.